MultiSoft’s MarketPowerPRO MLM Software uses the proprietary MLM Builder engine and is the best MLM Software available to empower your network marketing company. The MarketPowerPRO MLM tracking Software is as simple as point and click, MarketPowerPRO is MLM software that empowers you to run your company 24x7x365 without relying on webmasters, designers or techies. This software manages every function of your business more effectively. The MarketPowerPRO network marketing software ties necessary business operations together, including distributor management, commissions, inventory management, marketing, sales, order entry, shipping and receiving. It functions as a robust e-commerce platform that transforms your MLM business into a productive and profitable powerhouse. There are more than just countries and currencies. You can set products, enrollment options, pricing, and design skins on a country-by-country basis from one central location. Binary, Matrix, Unilevel, Hybrid, Stair-Step, Breakaway and Australian. Since 1987, we have programmed 1000’s of compensation plans. If you need it, we got it: First Order, Retail Sales, Fast Start, Fast Start 2-Up, Matching, Infinity, Generational, Customer Acquisition, Bonus Pools and more. 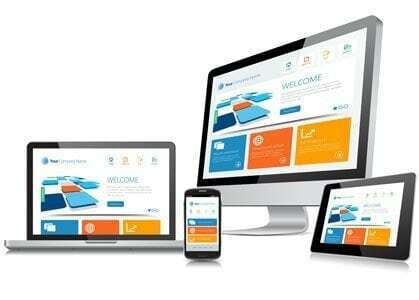 Every distributor receives their own replicated website from a range of ready-made design templates. We also include an editable support page. Distributors demand data related to their business in real-time. Your distributors have access to real-time data, commission histories, and marketing tools. MarketPowerPRO genealogies provide the most needed information. You determine the information displayed in downline genealogies. AutoShip is a key for generating recurring revenue for your company and commissionable volume for your distributors. We support multiple schedules like weekly, monthly, etc. The Shopping Card includes category management, point-and-click product display, stock keeping units (SKUs), and sales processing. You have full control of what your distributors are required to purchase on enrollment, what additional products or features they can buy, and what facilities they must provide. You run, close and pay commissions at your discretion. View all commission and bonus details, who earned them, and how they were earned. MarketPowerPRO offers 35 administrative reports to satisfy your need for data. Export reports in six different formats. MarketPowerPRO integrates with FedEx, UPS, USPS, and DHL. There are also non–integrated options. You decide who to use. You also set your own shipping overrides, packaging and handling fees. MarketPowerPRO comes with newsletter distribution, news, calendar, event management and FAQ systems. You edit all notifications directly from the application. Create your own content with the MarketPowerPRO WYSIWYG editor. There is no complicated programming or HTML/CSS to learn. Add and edit pages, manage menus, upload images or documents, configure language settings, and more. It’s all done with easy button navigation. Manage users by adding, editing, or deleting them from one single screen. Add notes, change sponsorships, view order history, adjust commissions, add support tickets, and update other required details. Manage warehouses, receive and view inventory quantities. Add and edit products, pricing, and commission values. Upload multiple images, set permissions, and more. The online order entry system allows you to manage existing orders and create new ones. Locate customers, add orders, enter payments, and select shipping. As a PCI software application, security is a top concern. MarketPowerPRO uses NSA level encryption, CAPTHCA security, IP blocking, and account locking. Manage company contacts, mail merge fields, and variables. Also update the company logo, address, email, set registration requirements, edit cart settings, and tax integration settings. MarketPowerPRO integrates with 60 credit card and 10 ACH gateways. “Gateway rotation” is included (rotate to the next gateway if you’ve transacted the limit through the first), and much more. MarketPowerPRO is pre–integrated with the CCH Group for live sales tax rate calculations. (requires contract with CCH Group). You can also set your own tax values using any of the available parameters. Every organization, small or large, must support its customers and distributors. MarketPowerPRO includes a wealth of support management tools. Do you need to integrate with a 3rd party company, warehouse or product fulfillment center? MarketPowerPRO’s XML Web Services have got you covered. What is the system’s capacity to grow with your company? Will, the developers, understand Network Marketing, or are they only trying to sell technology? In addition to tracking genealogies and paying accurate commissions, will the system also help in motivating and BUILDING your distributor base? In other words, will the software help you grow your distributor numbers and enhance your company? How stable will the software be? In the MLM industry, experience, professionalism, maturity and industry insights are vital requirements for the success of your business. MarketPowerPRO is the only choice to consider when selecting MLM software. In operation since 1987, MultiSoft thrives on setting the standard by which other network marketing software vendors measure their success. From incubation and consulting, through online real-time enterprise software solutions, MultiSoft is a trusted name in the network marketing and direct sales industries. With our many years of experience, you can be confident you will receive reliable and user-friendly software from MultiSoft. Our staff would love to review your opportunity and provide feedback on how MarketPowerPRO can effectively fulfill your vision and accomplish your goals. With the MarketPowerPRO system, you get everything you need to operate your MLM business at a price that even the most modest of start-ups can afford. More importantly, you will have the software in your hands to start making money. We set up your MarketPowerPRO system online once you have answered a few simple configuration questions. Your company may not be very big – YET – but when we designed MarketPowerPRO, it was with the idea that your company might grow to epic proportions. To support large companies, we built the application on a multi-tier service-oriented architecture using the proven and reliable C#.NET and Microsoft SQL technologies. The nature of the system design makes for ease-of-use. Separate system units ensure the reliability, scalability and provide the integrity of the software suite. Our ASP, or Application Service Provider, model is the backbone of the MarketPowerPRO solution. Its robust architecture and advanced .NET technology are the basis for the reliability, scalability, and the usability ofMarketPowerPRO. Along with the purely technical aspects, our ASP service solves certain business challenges by allowing users to take advantage of a wide array of features. The main advantage of the ASP service is in its ability to ensure proper management of billing, sites, designs, styles, application types and the like. Another important item that the ASP model. Having built our solution on a Microsoft-based platform, we ensured increased connectivity to the marketplace by providing the ability to integrate Microsoft and third-party technologies easily. This modularity provides for greater flexibility in evolving applications. The Module Delivery System is one of the most innovative features in the system and one that allows MarketPowerPRO to stand out in the MLM software market. Key to the Module Delivery System is its ability to allow you to snap new pieces of functionality in and out of the system. If you have a vision or even an existing piece of .NET software, it can be made into a module and served via the system’s user interface. Our team of experienced MLM and IT professionals always subscribe to the “rule of three D’s” when working with our customers – Devise, Develop and Deploy solutions that meet the needs of the unique industry we service. We deliver practical solutions built on many years of industry experience and close relationships with our clients. This approach to service provision is what allows MultiSoft to maintain a competitive edge in the industry year in and year out. MarketPowerPRO is a testament to the efficiency of the business approach applied throughout our company. A combination of vision, hard work and fundamental principles form the crucible in which MarketPowerPRO was forged. MultiSoft works with creative people to discover new approaches that solve everyday challenges the industry and our clients face. Our position as an industry leader is the result of maintaining high standards and focusing on the need to always move forward. We establish long-lasting relationships with our clients and value each of them as a member of the MultiSoft family. The MLM industry respects us for the quality of our consulting and software services which allow us to create real products for real life. Whatever purpose for which companies design software applications, reliability and security must be its primary concerns. NET technology mitigates this concern by providing a secure layer at the .NET utility level. This releases security concerns from the application level. Our proper implementation of .NET technology offers your users a high level of confidence when working online. Built on Web service standards, MarketPowerPRO connects a broad range of technologies, allowing entrepreneurs to access and use important business data whenever and wherever it is needed. Moreover, because of the component-based capabilities of XML Web Services, the technology secures the scalability and expandability of the solution. This allows for the incremental development of the solution, allows for future modifications, enhancements and provides easy and fast integration with partners and suppliers while combining data from different systems and subsystems to generate new opportunities. C#.NET Mobile controls provide you with the capability to target cell phones, PDA’s and over 80 mobile Web devices for integration with MarketPowerPRO. Not just the brand name for powerful household cleaner but a recognized term describing a technology that delivers web content in a snappy and exciting way. MarketPowerPRO Enterprise utilizes Ajax to pop up important information like context-sensitive help, sales figures, and genealogy information. Ajax delivers instant information without leaving the page you are viewing. Always ahead of the curve with innovative, competitively priced, cutting-edge MLM software solutions. Our primary focus isn’t just about being the best; it is also about keeping our software within easy reach of the start-up entrepreneur. From start-up to already established enterprises, we have solutions from $499 to $150,000 for full internationalization, MarketPowerPRO is customizable to fit your every need. Be Live in Days, Not Months!